The “Pearl of the Orient” is not only blessed with stunning white-sand beaches, the Philippines also has a rich ecosystem where plants with colourful flowers bloom. Manila florists combine local flowers and foliage with imported varieties to create more luxurious flower arrangements. Of course, you can also buy farm-fresh bundles for flower delivery in Manila for home purposes. To speed up your search, here’s our rundown of the best flower delivery in Manila and the Philippines. A Better Florist’s exceptional flower delivery service is matched by the top-notch quality of their floral products. Their online store showcases a meticulously curated collection of hand bouquets, flower stands and table arrangements that are not only modern and highly Instagrammable, but they also look better in real life! Their biggest selling point to customers is their 90-minute guaranteed free flower delivery in Metro Manila. So if you need last-minute gifts for an event or if you foolishly forgot your anniversary, then A Better Florist’s express flower delivery will save the day with a professionally handcrafted bouquet filled with farm-fresh flowers. Happy Flowers serves as an ambassador of happiness in the Philippines through their beautifully crafted and affordable blooms. To make sure they put a smile on their customer’s face, quality and speed go hand-in-hand. That’s why their slogan is “Happiness delivered wherever in 90 minutes!” Their professional florist handcrafts each order using the freshest blooms sourced from flower farms in Cameron Highlands for long-lasting floral designs. From modern hand bouquets, gorgeous grand opening stands and comforting funeral wreaths, Happy Flowers pays special attention to details to convey the appropriate story and emotion. So, make someone happy today with Happy Flowers! Petalier specialises in luxe flower boxes filled with premium Ecuadorian roses. Their signature jumbo flower box contains 200 Ecuadorian roses. You can also go to their Petalier bar where you can customise your order according from the type of box, the flowers, bouquet size, colour motif as well as a design peg if you have it. Finally, for busy bees, they have a “Forget Me Not” service which allows you to order in advance indicating an important date—an anniversary, perhaps—and they’ll remind you a week before the event, so you’ll never forget to commemorate a special occasion. At Le Fleur Boutique, each flower is handpicked by their artisan florists to ensure quality of each bloom. They also keep refreshing their catalogue depending on the season to give you different options every time. Floral products include hand bouquets, flower boxes, floral arrangements and preserved flowers. Preserved flowers can last up to three years which is a great keepsake for your significant other. You can also shop for gifts to add to your chosen bouquet, such as chocolates, love letters and stuffed toys. Time of delivery is between 11am to 4pm for Metro Manila, Cavite and Rizal. Additional charges may apply for earlier or later deliveries. Earliest delivery is next day delivery in Metro Manila and surrounding areas, while they need 3 working days lead time for provincial deliveries. Flowers n Gift Shop is strategically located at the heart Dangwa which is Metro Manila’s most popular flower market. This makes low-cost farm-fresh flowers easily accessible to them, allowing them to sell floral arrangements with more affordable price tags. With Flowers n Gift Shop, you can buy fresh flowers anytime. They deliver 7 days a week, including Sundays and holidays! Same-day flower delivery in Metro Manila applies to orders placed by 2pm. Meanwhile, the cut-off for next day deliveries to provinces is 12 noon. Flowerstore.ph has plenty of options for bouquets and arrangements intended for different occasions. They have roses, sunflowers, lilies, chrysanthemum, carnations, stargazers, Ecuadorian roses, among others. All these premium blooms are handcrafted into varied floral designs intended to accommodate a wide range of budgets. You can also add chocolates to your purchase if you want to be extra thoughtful. You can even request for them to serenade your special someone. FlowerDeliveryPhilippines.NET is a one-stop Manila online flower shop that has it all. They offer the widest range of local and imported fresh flowers from Roses, Tulips, Lilies, Sunflowers, Orchids, Sympathy Floral Arrangements, Preserved Roses and unique giant bouquets of 100, 200 and 300 Roses. They are also well known for gift items like their Ferrero bouquets, life-sized teddy bears, cakes and gourmet baskets. All orders can be customised to fit your needs and they offer Nationwide delivery and FREE same day delivery (cut-off time at 3pm) for all Metro Manila areas every day. If you want to order flower arrangements that are specifically made for certain occasions such as Mother’s Day or Anniversary, take a look at Florist Manila’s huge catalog of floral products and gift options that are available for delivery in Manila. They have dedicated designs for romantic celebrations and thoughtful floral creations for sympathy and funeral tributes. Manila Gift is your online gift and flower shop delivering the widest range of floral designs and gifts nationwide. They cover all major occasions and holidays as well as generic friendship gifts suitable for everyday surprise or other obscure events. If those options are not enough, they also accommodate customised designs if you want to choose the colour palette and flower types for the bouquet. Fortunately, their large network of florists and gift suppliers can help you with rare and hard-to-find exotic variety of flowers to impress your significant other. As for gifts, choose from stuffed toys, balloons, electronics, perfumes, chocolates, cookies, cakes, pizza, and so much more. Cut-off time for same-day delivery is 8am. Gift Go Now fills the gap for a fast and reliable delivery service in the flower and gift industry in the Philippines. Millions of overseas Filipino workers (OFWs) hoping to send well wishes or say “I love you” despite the distance can rely on Gift Go’s same-day delivery of their various bouquets. Make it more meaningful and special with gift add-ons like a cake for birthdays or personalised gift items such as mugs and puzzles. If you’re pressed for time and you need something thoughtful to send to a loved one, PhilFlower.com is your one-stop shop for fresh flowers and gifts. They have bouquets and flower arrangements in a wide range of designs and sizes. For gifts, you can purchase cakes, food, romantic gifts and anniversary presents. They also sell plants, bonsai, succulents and lucky bamboo for your home. If you need something more specific, then create your own bouquet of fresh-cut flowers or ask a PhilFlower florist to expertly design a breath-taking flower arrangement for you. The best thing is that they deliver nationwide in the Philippines. Same day delivery is possible within Metro Manila if you place your order before 12 noon. Florista Flower Shop provides floral styling and flower delivery services in Manila and Boracay island in the Philippines. They have a network of hand-picked florists with the highest quality and freshest flowers available at competitive prices. You can send flowers by simply going to their online shop and choosing a bouquet or arrangement from their large selection. Florista Flower Shop can also handle flower arrangements and setups for weddings as well as events likes debuts, funerals, business grand openings, among others. Flower Patch opened in 2012 with the aim of providing premium flowers, innovative floral designs and exemplary customer service for all flower lovers in the Philippines. Their online catalogue of flower bouquets and arrangements are their actual designs, unlike other online florists using generic and similar-looking designs downloaded from the Internet. Despite being a young player in Metro Manila’s flower market, Flower Patch is determined to continue the tradition of flowers through innovative, contemporary, classy and good quality flower arrangements. Plus, their prompt flower delivery and exceptional customer service will make buying fresh flowers online a happy and hassle-free experience. 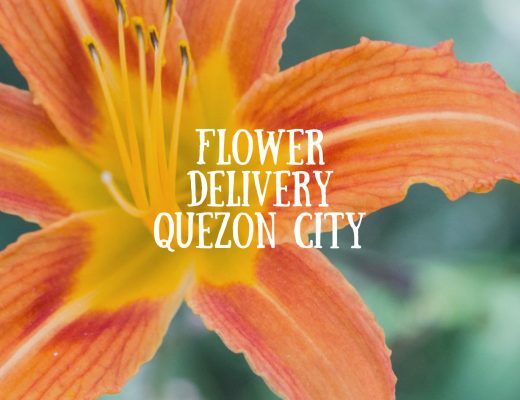 Their flower delivery service is available for Pasig, Libis, Ortigas, Makati, Quezon City, Alabang and Manila. Bloomiere is one of the first in the Philippines to specialize in preserved flower arrangements. Purchase elegant boxed blooms and arrangements which your loved one can keep for years! The Infinity Flowers used in their arrangements come from Colombia and Ecuador, individually treated to maintain its texture, shape and color for at least a year. Even better, Bloomiere Preserved Blooms are all-natural, non-toxic, non-corrosive, non-carcinogenic, non-flammable and not chemically-reactive and so they do not represent any health or environmental risk. Make your flower present extra sweeter with imported chocolates from Philippines Rose. They carry famous brands such as Lindt, Ferrero Rocher, Nestle, and Vochelle. This saves you the time of having to look for another shop which can deliver chocolates to your recipient. What started as a hobby for founder Ging de los Reyes has grown into a fully sustainable flower nursery and flower delivery service in the Philippines. Their 7.2-hectare flower nursery in Tagaytay grows over 40 varieties of chrysanthemum and 20 varieties of gerbera as well as anthuriums, celosia and sunflowers. Their other farm in Bukidnon grows single and spray roses, asters, solidaster, hypericums and tracheliums. They also grow other plants and greenery to use as filler foliage in their floral arrangements and as ornaments for your home. For same day delivery, their cut-off time is 2pm and they only deliver within Metro Manila. Te Amo Floristeria is a premium flower shop and floral design studio in Manila. Their designs are classic and elegant, but their flower boxes are probably their bestselling products. You can request for added gifts in your floral box, like cosmetics or chocolates for your significant other. They also sell preserved roses in glass domes which are imported from Japan. Designer Blooms started as a retailer of artificial flowers, but they eventually expanded their floral services to include fresh flower arrangements available for flower delivery in Manila. Their flowers are sourced from local farms like Tagaytay and Bukidnon as well as internationally from China, Ecuador and Holland. Their rose bouquets, particularly Ecuadorian roses, are ideal for impressing your significant other on Valentine’s Day. They also sell floral accessories like corsages and boutonnieres. For same day delivery, place your order before 11am. You can select from the following delivery times: 930am – 12nn, 12nn – 6pm and 930am – 6pm. Same day delivery on applies to Manila areas. Philippine Cut Flower Corporation, which is the owner and operator of Island Rose, is the Philippines’ largest rose grower, so expect a lot of floral arrangements with premium roses of French and Dutch variety. They supply fresh flowers to various florists, hotels and restaurants in Manila and the Philippines while catering to online orders from their flower-loving customers. Their line of sympathy rose boxes are particularly noteworthy. The elegant and minimalistic arrangement is a great gesture of commiseration. 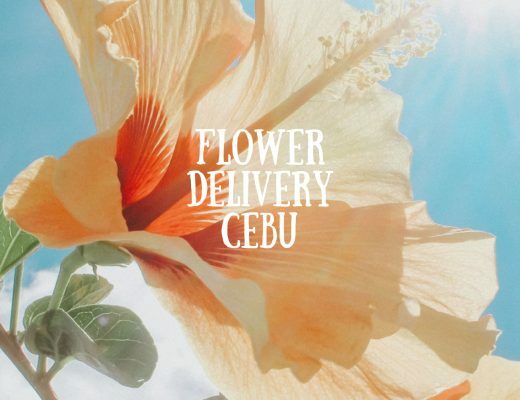 Island Rose delivers flowers nationwide in the Philippines, including Cebu. Same-day flower delivery is available in Metro Manila areas only, Monday to Friday, for orders placed before 8am. For the rest of the country, next day delivery is applicable to orders placed before 4pm. The flowers are delivered in bud stage and packed inside shipping boxes to secure them during shipping. Fiora Manila has roses, tulips, peonies, hydrangeas as well as preserved Ecuadorian roses which can last for a full year. Their flower buckets come in rectangular as well as circular hat boxes which look posh and luxurious. You can contact them directly for customised orders as well as rush orders so they can prepare accordingly. La Vie Fleurs’ clientel include celebrities as well as fashion and lifestyle brands like f&h in the Philippines. They work best for bespoke arrangements, events, weddings and shop displays. They have a wide array of blooms, from roses and peonies to orchids and lilies. La Vie also holds workshops for flower enthusiasts. Part of their proceeds go to a charitable institution, so if you like spreading love and happiness to more people, they’re a worthwhile Manila florist to check out. Flora Vida is the passion project of actress Marian Rivera-Dantes. She started the shop after attending a special floristry class in Kyoto in 2017, so you may just see designs and arrangements inspired by displays in traditional Japan florists and flower shops. Since all products are designed and handcrafted by the actress herself, stocks are limited. Though you can also find designs ready for purchase like the single, large flower and the rose glass domes. Product photos are taken from each flower delivery or florist’s official website. They deliver Nationwide and offer free same day delivery in all Metro Manila areas. A one stop online store that got it all. Delivers every day local and imported fresh flowers like roses, tulips and sunflowers bouquets, orchids, boxed flowers, preserved roses, Ferrero bouquets, cakes, gourmet baskets and funeral flowers. They are also well known for their human size teddy bears and unique giant bouquets of 100, 200 and 300 roses. Im not recommending this flower shop they deliver late. Especially during valentines. Great list! You can also consider adding Pinasgifts.com to the list. They provide online flower delivery services in philippines. You can select from the wide range of flowers present on their website and they will get it delivered for you. A Good List and I might try one. I used last year valentines day a company called Philippine Flowers and Gifts https://philippineflowersandgifts.com/ . They deliver also in the Philippines in Manila areas and Provinces. I order flowers and cakes for my fiancee and it arrives on time, and my fiancee is very happy. Hi, Please consider this flower shop and flower delivery http://www.flowerblooms.com.ph . I used then last March for my Girflriends 26th birthday. The flowers is very good in design and the fruit basket. They have awesome flower arrangements and cheaper price. Great post!! I have delivered “Petalier” flowers to my wife in Philippines after reading the options. She has loved the flowers! Looking forward to your post. Thanks for sharing!! 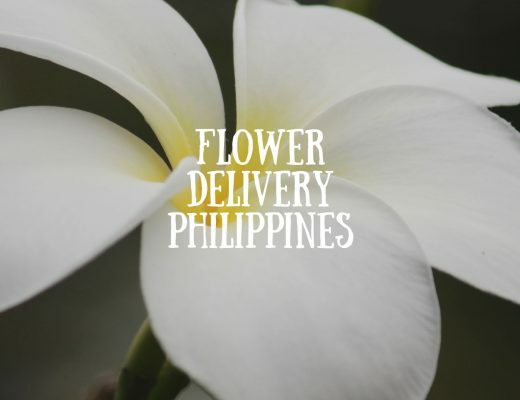 Great to have bulk of list for Philippines flower delivery. Recently I have used https://www.pickupflowers.com/ to send flowers and chocolates to my cousin at Cebu. Flowers were awesome and same day delivery before 4PM. Add this website too.